Found this beer at a party we went to in Edinburgh. And no, it isn't produced by Anheuser-Busch . 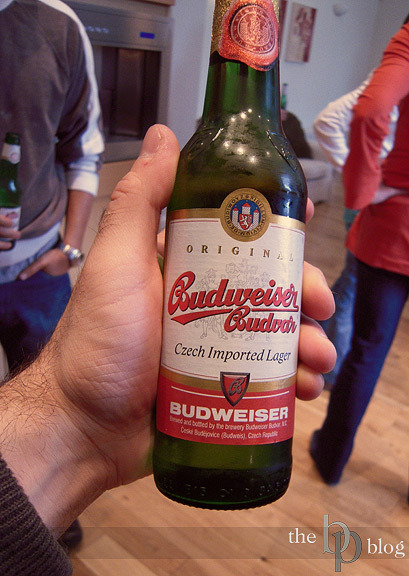 This Czech Republic beer was actually started back in 1795. Our American Budweiser wasn't started until 1876. And the best part... it tasted like beer unlike our Budweiser.